If you are from Ohio, particularly Northeast Ohio, the story of the summer was Lebron James’ move to the L.A. Lakers. I have spent countless hours watching Lebron and listening to my son’s details analysis and play-by-play of everything Lebron over the years. I also have some students at school who loved to talk about him, and obviously, we have some catching up to do when we get back. With one particular class in mind, my 8th graders who I know well, I decided to use Lebron’s stories – leaving Cleveland and his new school in Akron, Ohio – as our first unit this fall. It will serve as a review of some language and literature terms, allow me to observe them working in groups, and provide some good conversation and debate. #1 and #2 – Newsela has two articles I’ve chosen to use. One on each of the stories mentioned above. I love Newsela for many reasons, particularly the ease of leveling text by Lexile. #3 – I am using the text of Lebron’s essay from 2014 when he announced his decision to return to Cleveland. I ran this through the Free Lexile Analyzer and found the Lexile range to be 600-700L. 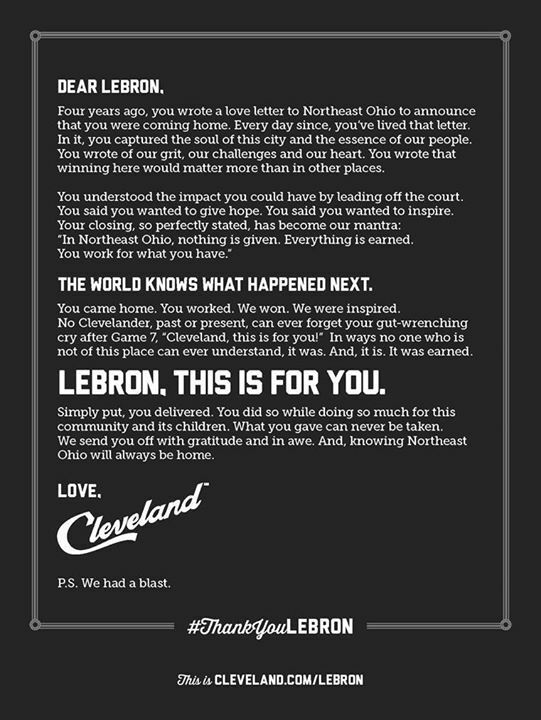 #4 – I am using the letter to Lebron “from Cleveland” that I found on Instagram and in Sports Illustrated magazine. The Lexile for this text is 400-500. 2. Language Review Scoot based on the “Dear Lebron” letter. 3. Close Reading Activity based on Lebron’s “I’m Coming Back to Cleveland” essay. 4. The Newsela Articles will be read in small groups or independently using the PRO features our district has access to. Depending on your students, these activities could be a fun, high-interest activity for the start of the year. His number is 23, and this is my 23rd year of teaching. He is going to L.A. and I teach L.A. I thought I’d share those cheesy facts with my students, but first I ran it by Ian this morning to see his reaction. Me – Ian, do you know something Lebron and I have in common? Ian – You’re the Greatest of All Time? Ah, not what I was thinking, but I’ll add that to the list.